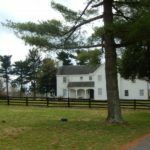 Nicholasville in Jessamine County, home to the first commercial winery in the United States, is now home to its third winery. Opening last year, 1922 House Vineyards and Winery are making some very interesting dry red wines, Norton wines, one which is aged in a bourbon barrel, Chambourcin wine, and a Noriet wine. They are a small farm winery and will be opening a tasting room sometime in the future, hopefully in the summer. Check back on their website for updates about how they are coming along. 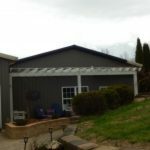 The owner and winemaker, Brian Young, is from the business world and is new to the wine industry, but is enthusiastic and creative with a lot of ideas for developing his winery. The name, 1922 House, comes from the house at the farm that was built in 1922. The setting for the winery is quite lovely. We’re looking forward to visiting their tasting room. 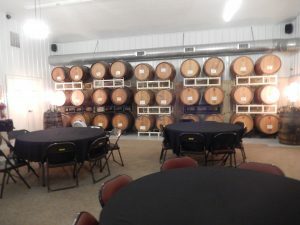 For the past several years, McConnell Springs has hosted a Barrel Tasting at some of the Bluegrass wineries as a fundraiser and, again this year, it was a success. Wine lovers spent the beautiful spring day traveling from winery to winery talking to wine makers and tasting their wines from the barrel. We chose four wineries to visit this year. We started the day at Prodigy Vineyards and Winery in Frankfort with lunch and a taste of Cabernet Sauvignon. Both were lovely. 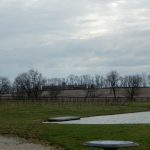 Next we visited a rather new winery in Nicholasville, 1922 House Vineyards and Winery. We tried a very interesting Chambourcin and a Norton. Our next stop was at Talon Vineyards and Winery. We’ve visited many times in the past, but it had been a while. 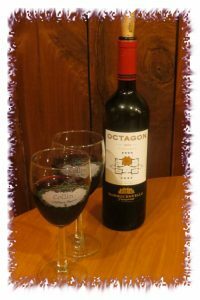 We tasted a new Malbec and will be back to try it. Our last visit of the day was to try the long awaited Zinfandel from Chrisman Mill Vineyards and Winery, and were also surprised with cocktails made from spirits from their soon to be open distillery. Kentucky wine lovers get ready. There will be fun to be had at the wineries in the Bluegrass. 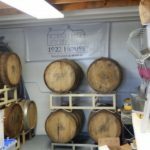 Next Saturday (March 30) is the date for the McConnell Springs Barrel Tasting. If you’ve never been to a barrel tasting, you are in for a treat. Tasting a wine that is new and hasn’t been bottled gives you the opportunity to gain an insight into the depth a wine can reach as it ages. We’ve gone to many and have enjoyed them all. It is especially fun to try a favorite wine and then later look for the changes that have occurred after a few weeks in the bottle. You’ll gain a new appreciation for your wine. As a special treat, the wineries will usually have a few surprises ready for their guests. Here is a link to the brochure for the event. Check it out for the wineries that will be pouring, the time, and the cost. Hope to see you at one of the wineries. We’re looking forward to a good day! Wine lovers prepare for tomorrow – it’s your day! February 18th is National Drink Wine Day. Grab your favorite bottle, pour a glass, and toast one of the world’s oldest natural drinks. Cheers! Feb 12th Happy Valentine’s Day! Valentine’s Day celebrates love! What a wonderful concept in a world where so many disagreements cause so much conflict. As early as the Middle Ages, lovers have been taking this day to honor their love. Through the years expressions of love have changed, from letters and cards to flowers and candy, a night out or a quiet celebration at home. Wineries are offering special events such as a Chocolate Lovers Date Night at Brianza Gardens and Winery or the Valentine’s Murder Mystery Dinner at Prodigy Vineyards and Winery. 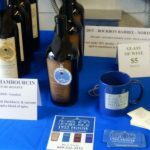 Check the websites of your favorite local wineries for their events. Wine lovers looking for a special Valentine’s wine to share with their love have many choices from Champagne, a chocolate flavored wine for sweet wine lovers, a dry wine in a chocolate glass, or a dry red wine paired with dark chocolate. Choose a wine you love to celebrate your love and enjoy the day! All you need is love, and wine! Here’s a copy of the Press Release for the event. Thanks to Annette Mathy, Event Coordinator. Join us for the 12th annual “Wine Barrel Tasting for the Springs” on Saturday, March 30th 11AM-5PM. Participants will travel on their own to 13 different wineries to sample wine that is ready for bottling. They may have the opportunity to meet the winemakers and discuss their favorite subject. Fee: $20. Proceeds benefit McConnell Springs, the site of the naming of Lexington in 1775. 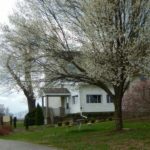 For more information and a list of wineries, visit mcconnellsprings.org. or call 859.272.0682. Sponsored by the Friends of McConnell Springs. This is a rain or shine event. Mark the date on your calendars. It is a fun day for all Kentucky wine lovers. The wineries are all ready to welcome visitors and there are always some fun activities planned. This is also a time when spring is beginning to be felt in the state and of course at the vineyards. It’s a great weekend for visiting wineries. Check my links for a direct link to their site. Yes, I realize that doesn’t sound like it’s wine related; and it’s not, except we had some really good wine on the way there and the way home. We visited Forest Edge Winery, in southern Bullitt County. An excellent start and end to a great weekend visiting Nashville, Tennessee. While in Nashville, we did a little bar hopping on Broadway and visited the Country Music Hall of Fame Museum. Our stops at Tootsie’s and Old Red were both enjoyable; and along with the regular exhibits that make the museum a must see, there were special exhibits on the Outlaws, Emmylou Harris, and Little Big Town. But the highlight of our visit was the concert honoring Willie Nelson. 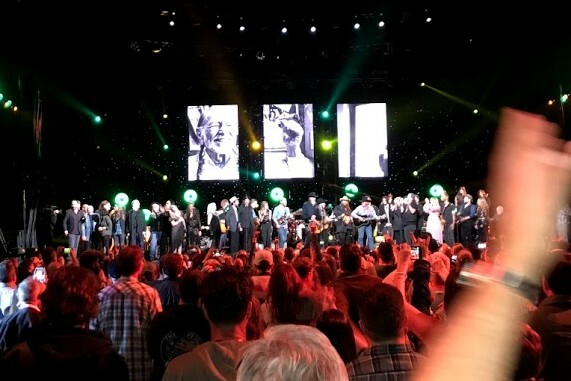 Over twenty well-known entertainers were there to pay tribute to Willie, with performances by greats, such as: Kris Kristofferson, Chris Stapleton, Emmylou Harris, George Strait, Vince Gill, Norah Jones, Lyle Lovett, Dave Matthews, Jimmy Buffett, Willie’s sons Lukas and Micah, Jamey Johnson and many more. Several were joined on the stage by Willie himself. The finale was the entire ensemble on stage to perform On the Road Again, but that wasn’t all. The all-star line up followed that up by Will the Circle be Unbroken, I’ll Fly Away, and Roll Me Up and Smoke Me When I Die. It was an amazing concert! For those wine lovers who are country music fans, like we are, keep an eye out. The show was taped and will be shown on A & E sometime this year. I can’t wait to see it again! 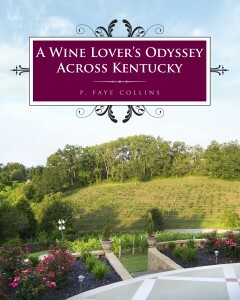 Several of the wineries that we visit now opened after the publication of A Wine Lover’s Odyssey Across Kentucky. I have written about them here on the blog. 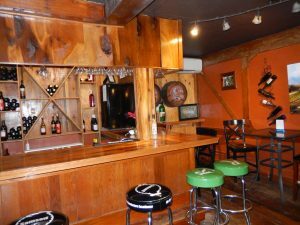 One of our favorites is Forest Edge Winery. 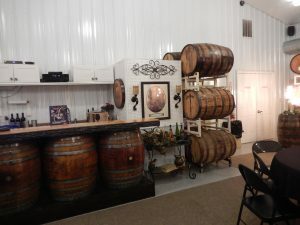 Just south of Louisville, in southern Bullitt County is a lovely tasting room just off I-65. The wines are all exceptional and there is something for every wine lover. We visited both on our way to Nashville and on our way home. It was a good way to relax along the way. Butch Meyer, the winemaker, was there during one of our visits and we had the opportunity to chat with him about wine as well as drink some of his best wines. My choice was his Sauvignon Blanc, easily the best made in Kentucky. My husband had a glass of Cabernet Sauvignon one of the best in the state. They had made some changes since we visited last summer and have moved the wine production to another building. This left room for a new space devoted to gatherings of wine lovers. As a destination or as a relaxing stop on your way somewhere, I recommend a visit! You’ll love it! 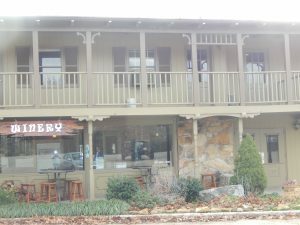 Earlier this month, a visit to Cave Valley Winery was the first step to completing my New Year’s resolution of visiting more wineries in the state. While driving to Nashville, we looked at Kentucky’s winery map for wineries we might pass. Just off I-65, at Park Mammoth Resort in Park City, visitors can stop for a taste of some Kentucky wine. The winery is located at the lodge at the resort which sits on top of a hill overlooking cave country. Known for golf and shooting sports, the winery is the newest addition at the lodge. There’s also a Bistro, but since it was January, wasn’t open when we stopped by. They offer wines from Wight-Meyer Vineyards and Winery along side of some made by Cave Valley Winery, it was an interesting first visit. As a Kentucky wine lover, my resolution is simple this year — visit more Kentucky wineries. Since interviewing all the owners and wine makers for my book A Wine Lover’s Odyssey Across Kentucky, the state has had a winery boom. The book featured the 32 wineries in the state in 2011 that had tasting rooms and regular hours for visitors. My premise was that most people would be more likely to visit those wineries rather than plan and call ahead. Boy, has that number changed! Looking at the most recent Kentucky winery guide which we picked up at the end of 2018, there are around 70 wineries in the state now. Most of them have tasting rooms. So my resolution will be challenging. I will let you know how we are doing!